Crazy to realize that I’ve been using Remy & Rose products since it launched in 2014! In fact, went a little crazy after the premiere and purchased quite a few soaps as Christmas gifts for friends and family. 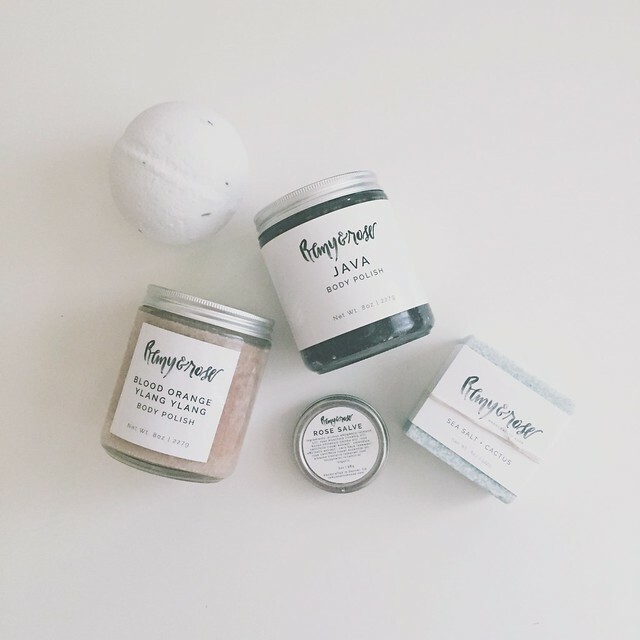 Along the way, the Colorado-based shop has slowly released different products other than its original soaps, including whipped body butters and salt body scrubs. 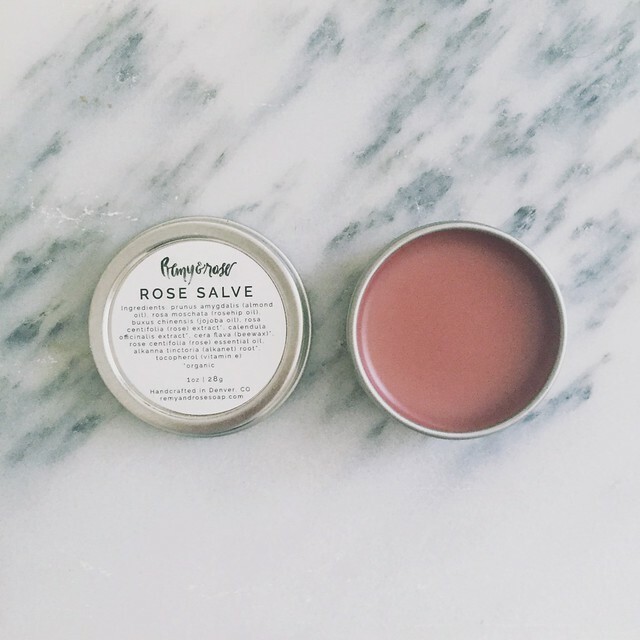 Due to the sourcing and ingredient quality of its products, Remy & Rose has grown a cult following and has extended selling its product line outside of its original online shop to many retailers across the globe, including Urban Outfitters. Am familiar with shop owner, Chatti, who is a college friend of my oldest sister and was first introduced to Chatti’s undying creativity through her worldwide wedding and lifestyle photography company, Savady Photography. 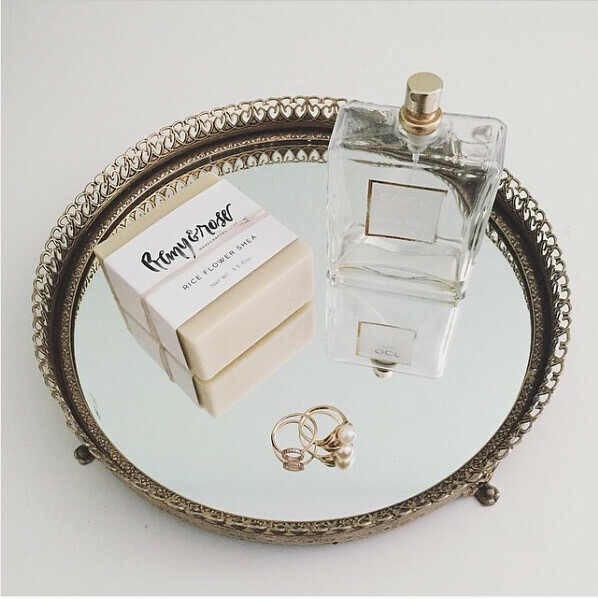 Remy & Rose is an extension of Chatti’s love for natural beauty at its core and is why it felt rather innate to feature the shop on Soul Cal Love. It began in 2009 when Chatti experimented with making cold process soaps after stumbling upon a soap making book at a bed and breakfast in Colorado. It just so happened to be that at that time, she was experiencing dry skin issues due to a relocation from positively unforgivable sunny Southern California to drier Colorado air. Frustrated with the lack of improvement using store bought brands that further irritated her skin, she looked to handmade soap as an alternate remedy. With her husband by her side, and a year of testing and many soap batches later, we now have what has come to be known as Remy & Rose. The shop name was inspired by her two cats, Remy and Rosie, and must confess that there’s a personally particular fondness in knowing that the company name derived from an animal that I love, that also has my name! 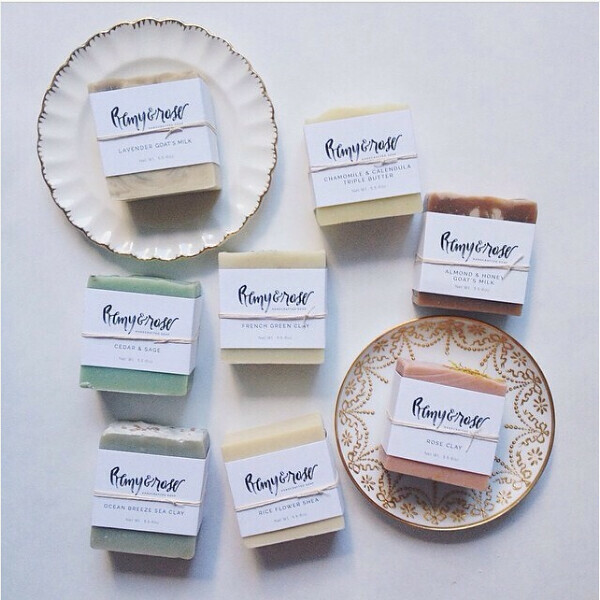 All soaps at Remy & Rose are made in small batches in handmade wooden molds using palm-free recipes. Using the traditional cold process method, soaps are cured for a minimum of six weeks ensuring a longer lasting, mild product perfect for all skin types. Soaps contain a variety of lush oils to hydrate and soften skin, including avocado oil, mango butter, fair-trade organic shea butter, cocoa butter and rice bran oil. Soaps are also lightly fragranced with 100% pure essential oils, fragrance oils or blends, all of which are sourced from vendors that do not use nitro musk or phthalates. Soaps are also free of palm oil, petroleum byproducts, sodium laurel sulfate, phthalates, parabens, and artificial preservatives. It is clear that Chatti and her husband believe that what’s good for the skin must also be good for the soul and emulate this philosophy directly into each product they create. To further expand Chatti’s passion for soap making, she also hosts occasional workshops in Denver, Colorado. 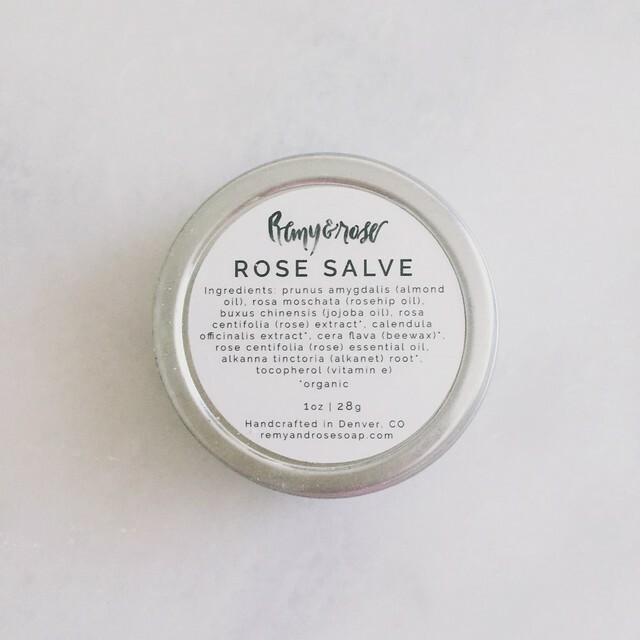 LOVED taking this multipurpose rose salve with me to the gym to prolong my post-workout glow. The slight pigment of the salve helps produce a natural flush on cheeks and can be used to highlight the eyes in addition to providing moisture to lips, cracked, dry skin and cuticles. The salve is compacted with rosehip seed oil and jojoba oil to alleviate dehydration, transforming skin to feel soft and supple without clogging pores. The intermingling of green cactus and fresh salty ocean air is evident when sniffing this soap that’s made with sun harvested pacific sea salt. Not only will it polish skin, it is the ultimate spa kit must-have if you’d like to bring the experience at home. My usual at-home spa days are on Sundays and this was always used to help relax and remind me of the sea. Particularly remember saving a portion of this scrub (tried very hard to not use it all at once) and it came in handy upon my return from Cambodia. Due to the heat and humidity of the country, I was showering and changing my clothes three times a day (yes, that’s how much I was sweating!) and knew that I wanted to endure a really good exfoliation session with the Yling Ylang Salt Scrub when I came back home. The blend of natural sugar, mineral rich pink himalayan sea salt and luscious oils and butters gently scrubs away dead skin cells resulting in silky smooth skin. Let’s just say that mine felt rejuvenated and pure from using this after vacation. As an obsessed lover of coffee, was so excited to try out this product. There was a point in time I had tried to give up coffee for a few months to see how this diet change would affect my body. To make up for the lack of coffee in my life, I used the coffee salt scrub every other day during my morning showers. Inhaling the nostalgic scent of fresh coffee beans with a hint of sweet vanilla helped uplifting my usually sleepy spirit and thrill the mind for what was to come during the day. 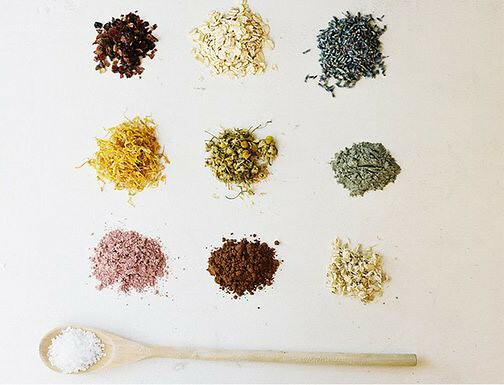 The scrub is made with organic fair trade coffee grounds that helps bring glow and vibrancy to skin. While this replacement worked during my diet experiment, it turns out that I could never give up drinking coffee, and never will try again. Activated Charcoal Complexion Soap: this most popular bar cleans without leaving skin dry and is a product my oldest sister has been wanting to covet for some time. 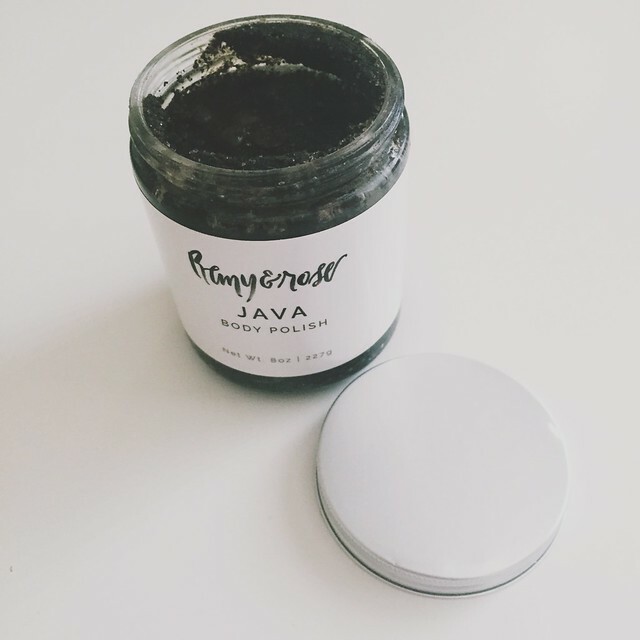 Activated charcoal as a beauty ingredient has been trending in the beauty industry and its usage and benefits have also been featured on Life With Me and The Sunday Chapter. Rice Shea Soap: this has by far been my most favorite soap from the shop. It has the loveliest subtle scent and personally gives a sense of nostalgia reminding me of my mother’s gardenias from my childhood. Would wear this as a perfume if it existed! 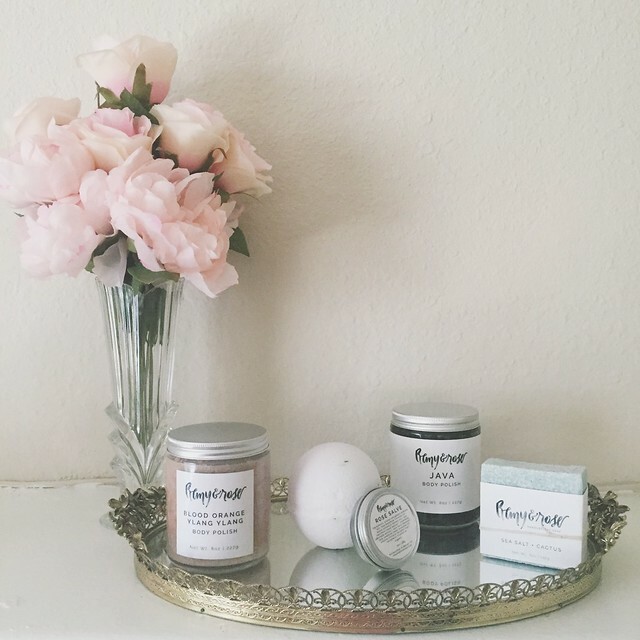 Thank you to Chatti & Remy & Rose Soap Shop for gifting products for this post. All opinions are my own. Photos: Remy & Rose (One, Three & Four), @theheydaystore (Ten), all other photos taken by Rosie for Soul Cal Love.